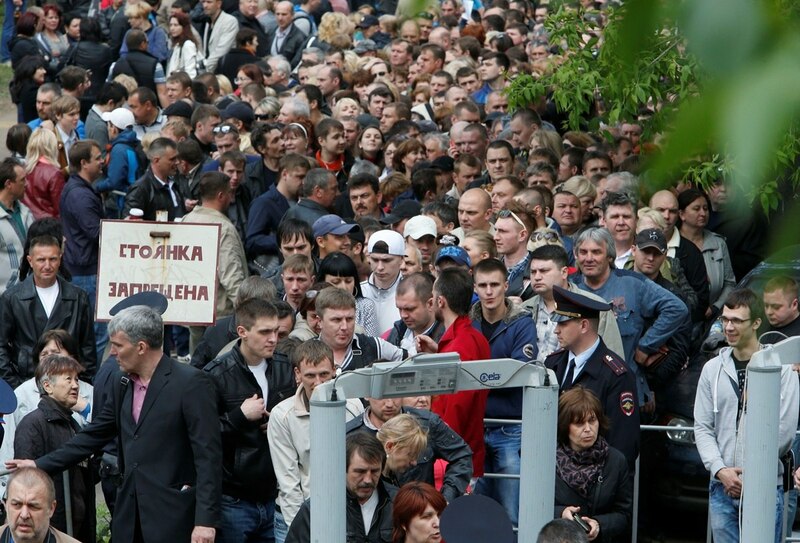 Continue to objectively cover the course referendums in Lugansk and Donetsk People’s Republic of State Sovereignty. 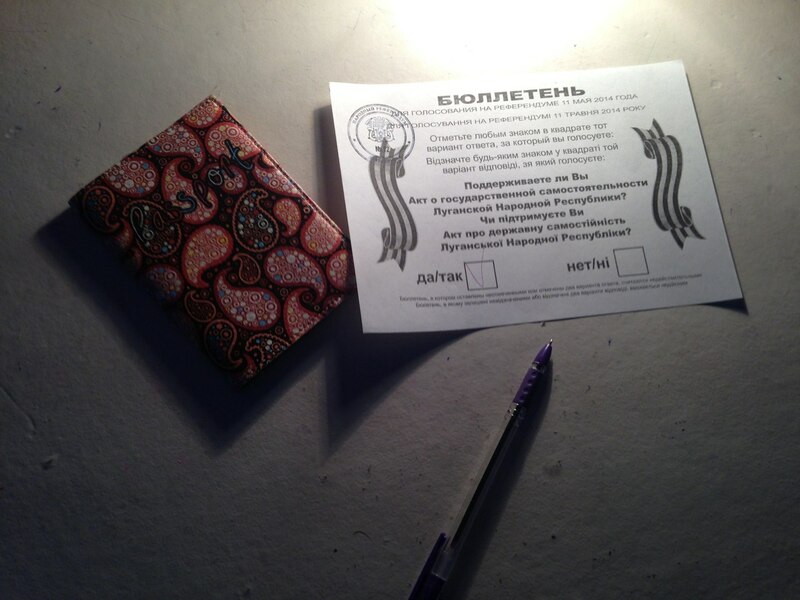 In Lugansk, started counting the votes. 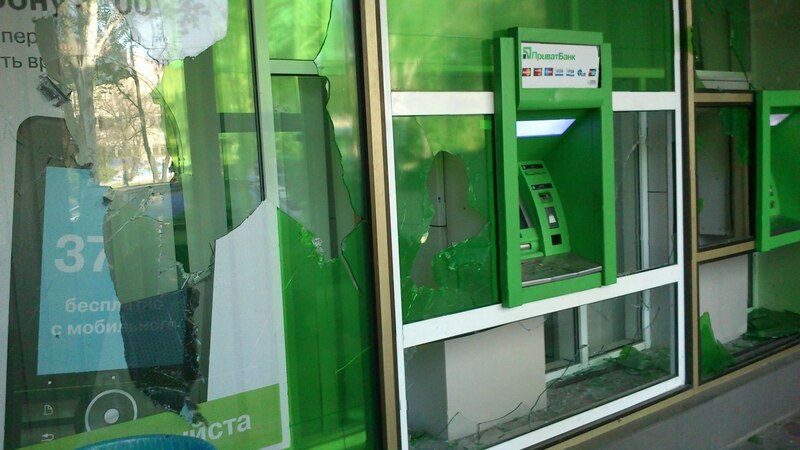 Details of action fascists Krasnoarmeisk. we lay on the ground firing bursts. Honestly just killed. why why? people are in shock a little parted. pushed military killed. I have not seen. say those who have seen closer. two armored car cash collection with the military. vehicle came with the military - they cry - not forgive the Nazis. 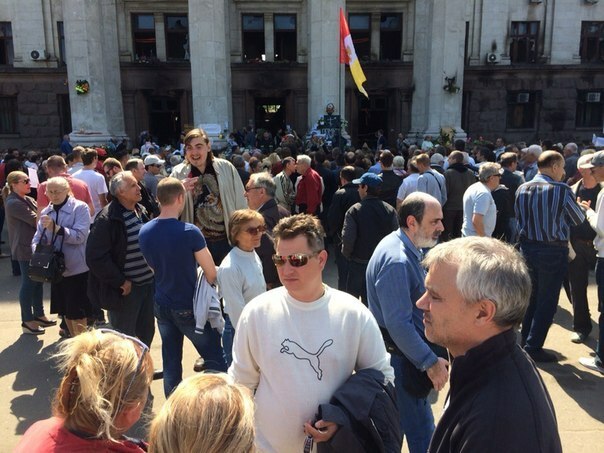 before the executive committee tried to stop the car in the Dnieper. one shot in the head. shoot over their heads. Donetsk region . 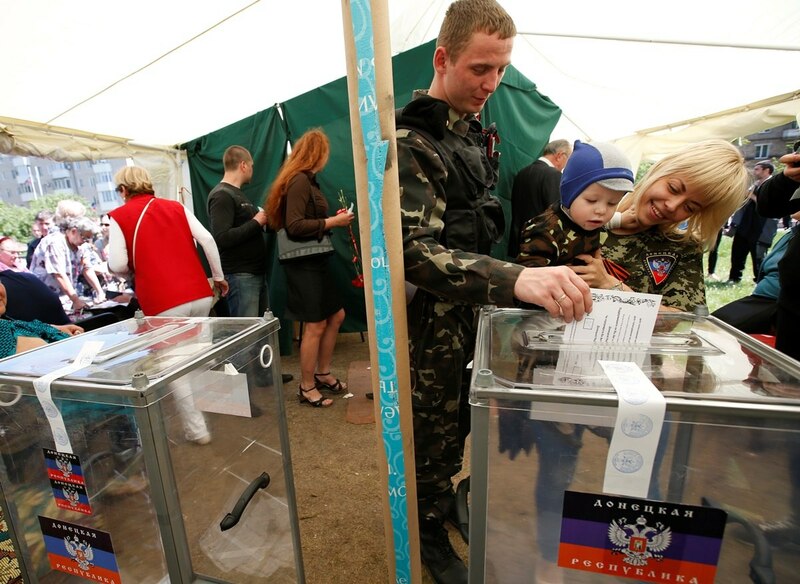 A referendum in the Donetsk region of 20:00 turnout was 71.4%. About this RBC-Ukraine Chairman of Central Election Commission of self-proclaimed ” People’s Republic of Donetsk ” Roman Lyagin . 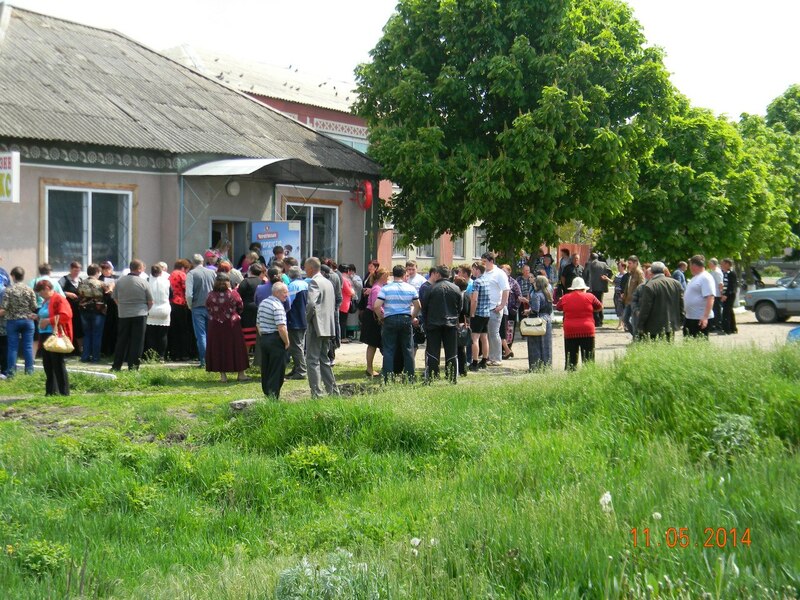 ” The turnout at the referendum Slovyansk at a given time was more than 70% in some villages turnout reached 80 % – CEC DNR ,” – at the same time reported on Twitter DNR . 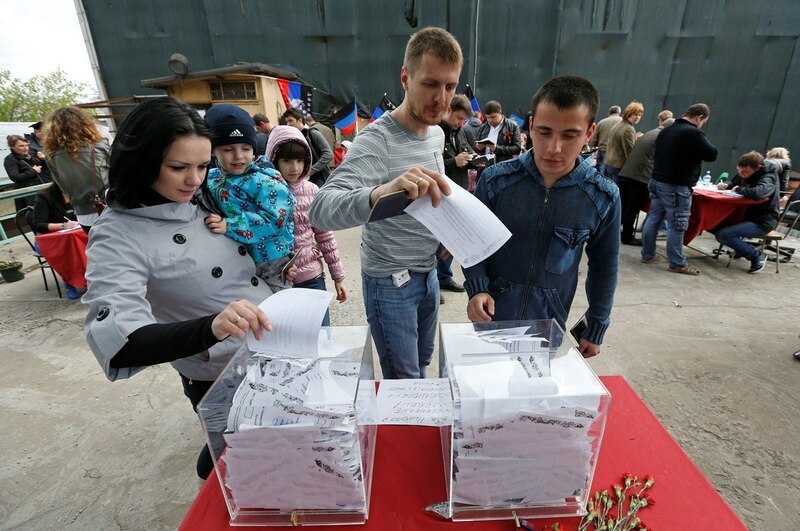 Recall , May 11, 2014 in Donetsk and Lugansk regions separatists held referendums on the status of the regions. 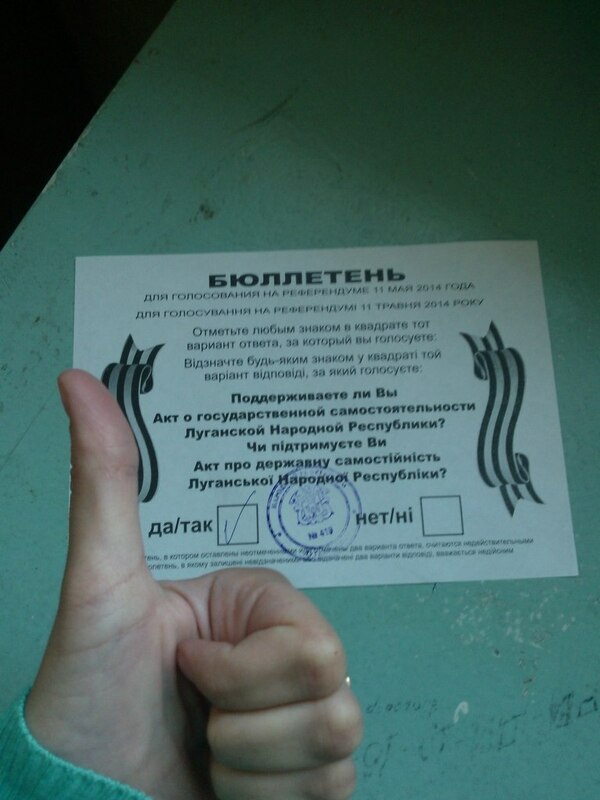 Polling began at 8:00 . Euronews report on the referendum. Victims of the Nazis in Krasnoarmeysk. Wounded. 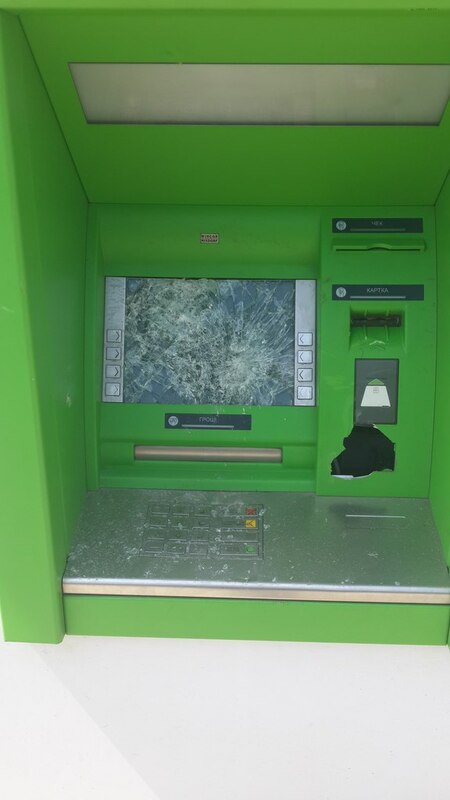 Apparently the bullet shattered the bone. 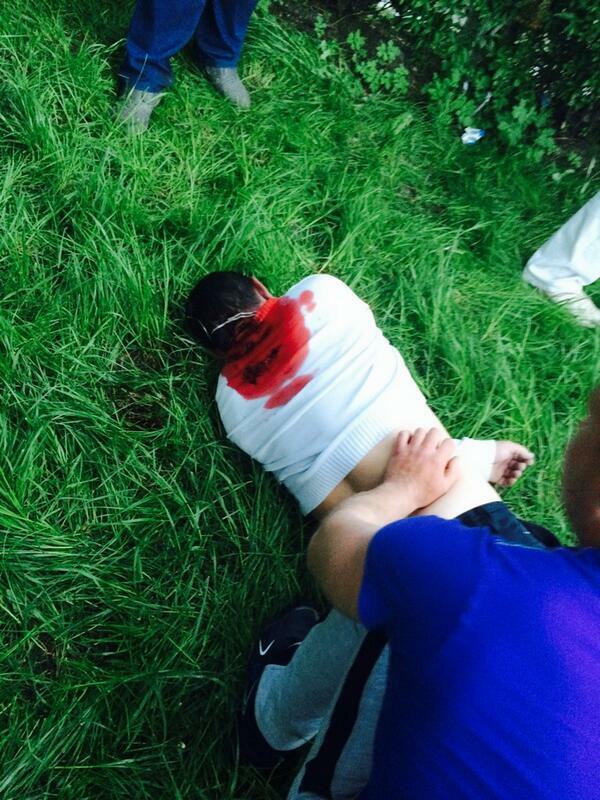 In Krasnoarmeisk again shooting, reported that the Nazis killed one resident and another wounded in the neck. 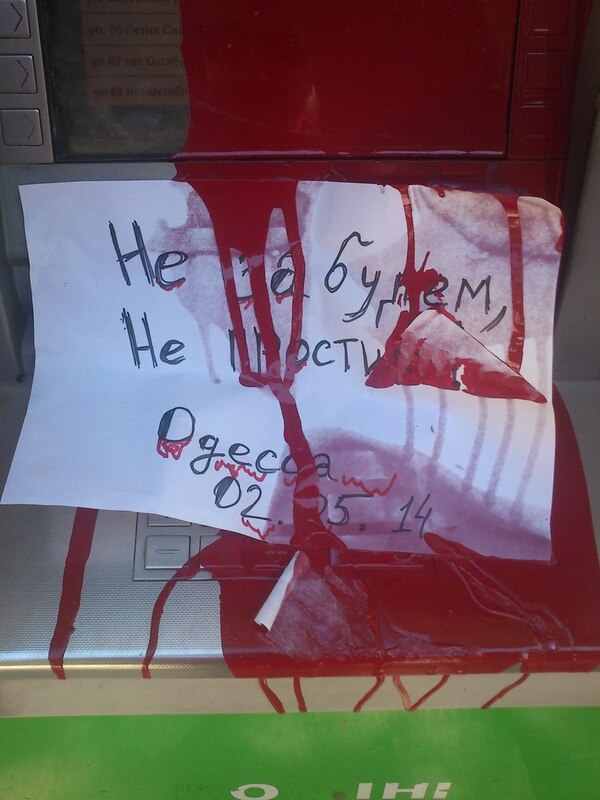 Fascists day without blood can not. Meanwhile, in the parallel universe brown. 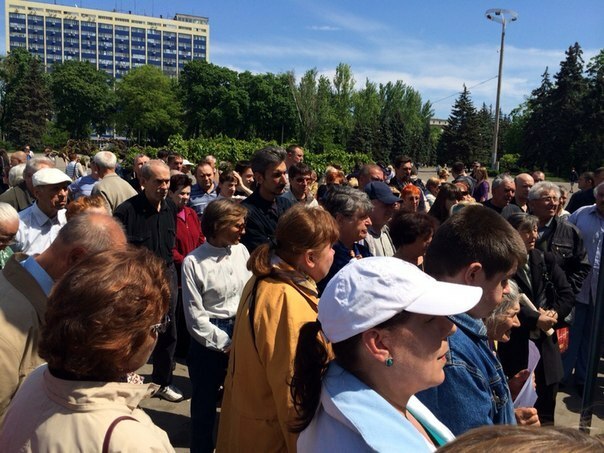 <p>”>In today Slovyansk forbidden to sell alcohol decree Ponomareva . “>In order to humor. 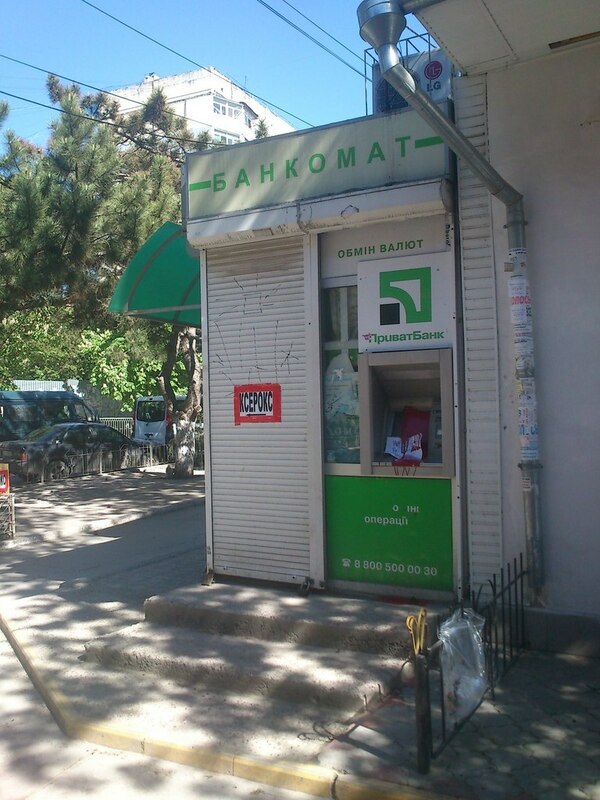 While no photos Ljashko , recently was the only information that he allegedly locked in a basement militias .“>According to unconfirmed information in Odessa 3 defected soldiers with machine guns . 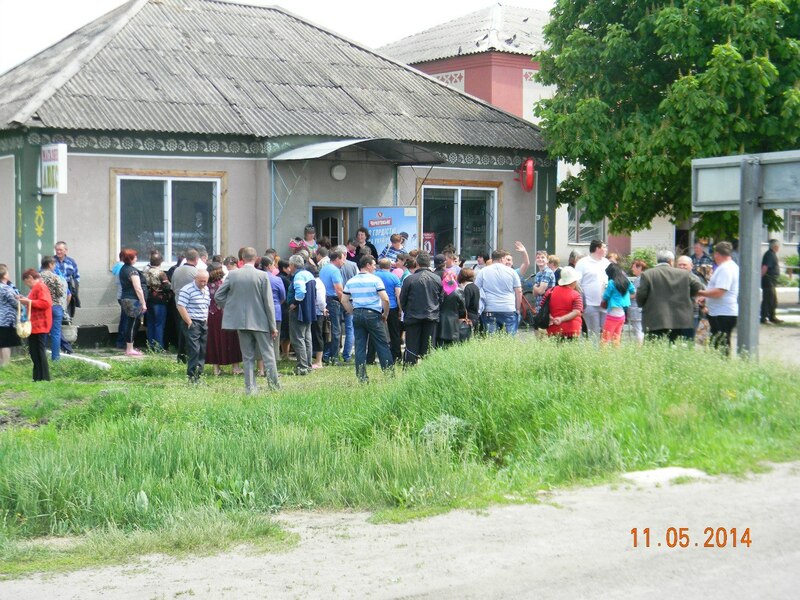 It happened this morning in the village Chabanka Kominternivskyi district of Odessa region . Two recruits from Donetsk and Odessa one seized three automatic weapons ( AKS -74 ) with ammunition and fled in an unknown direction. 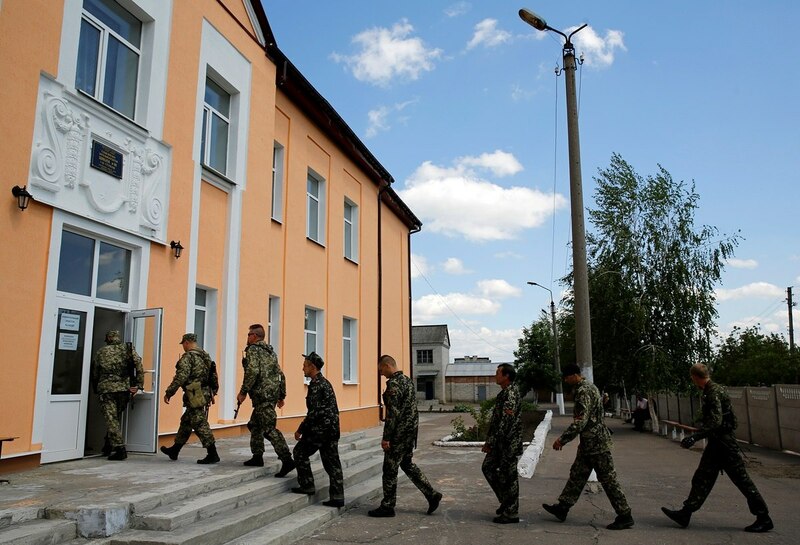 Their colleagues argue that after the incident in Donetsk and Mariupol soldiers decided to avenge the dead countrymen and break towards the People’s Republic of Donetsk . 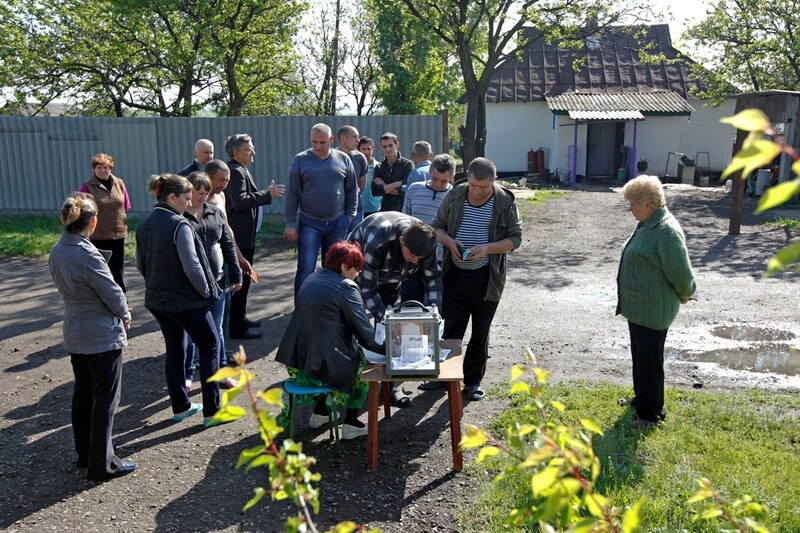 Roll-plot in the village thorn under Lugansk. 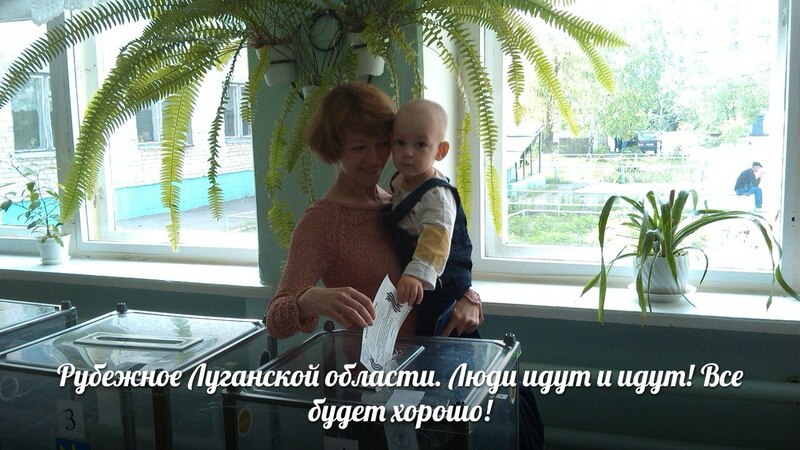 In Mariupol turnout according to Life-News was 70%. 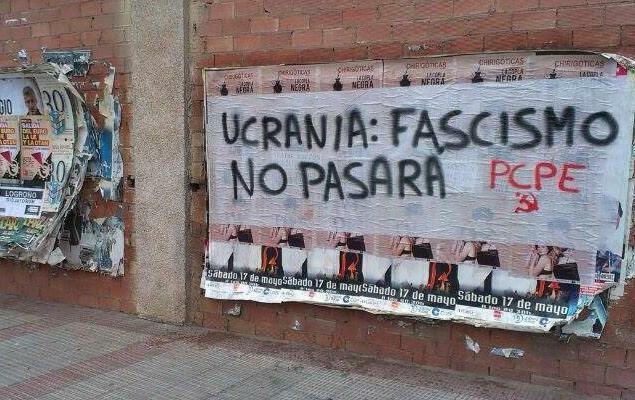 Spanish Communists support the fight against the Ukrainian fascism. 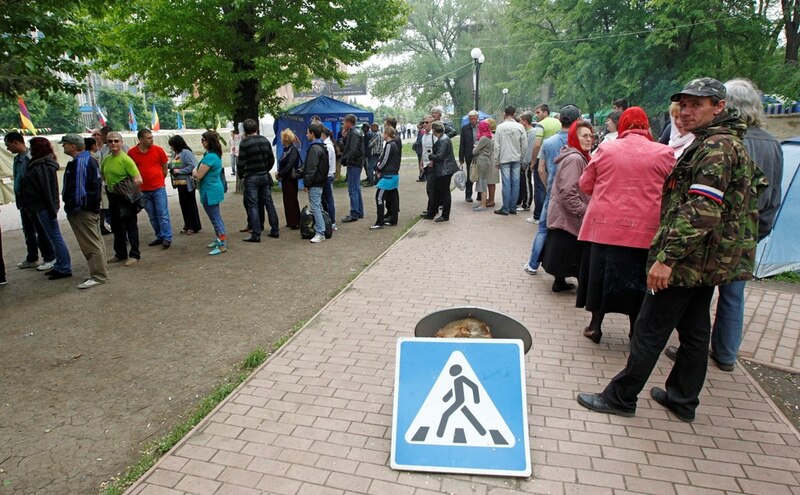 “>At the moment, the turnout in the referendum was 80 % , this is the biggest indicator that has only been in the Donbas . 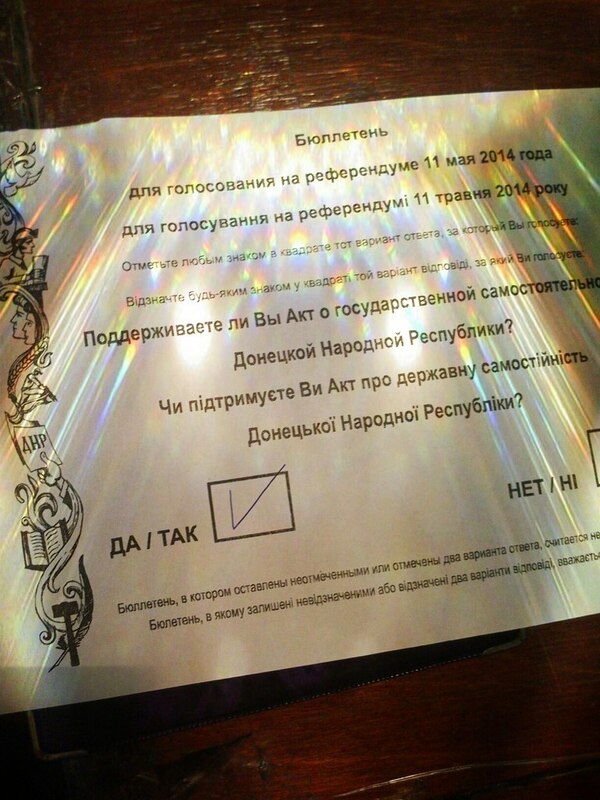 It is predicted that it will reach 90-95 % in some polling stations during extended until 23:00. 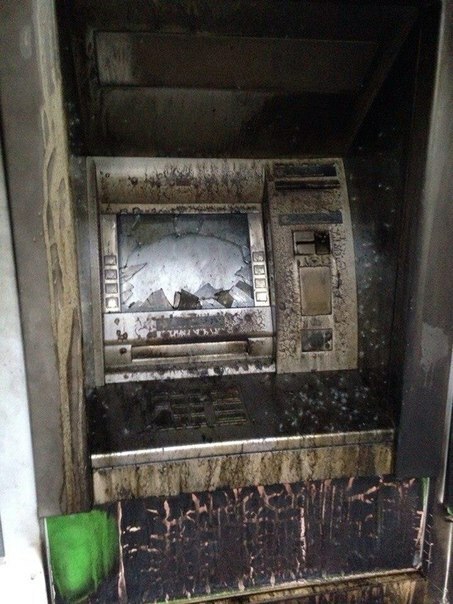 “>WARNING ! 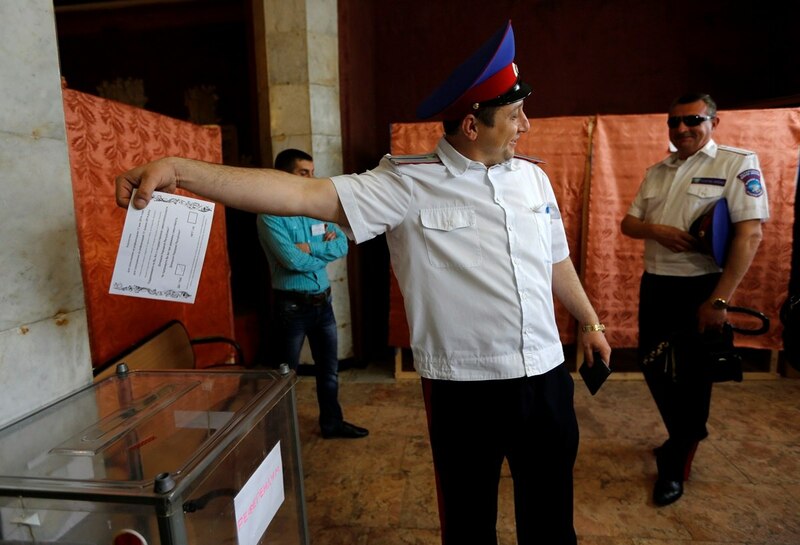 “>In Mariupol officially closed the polls. 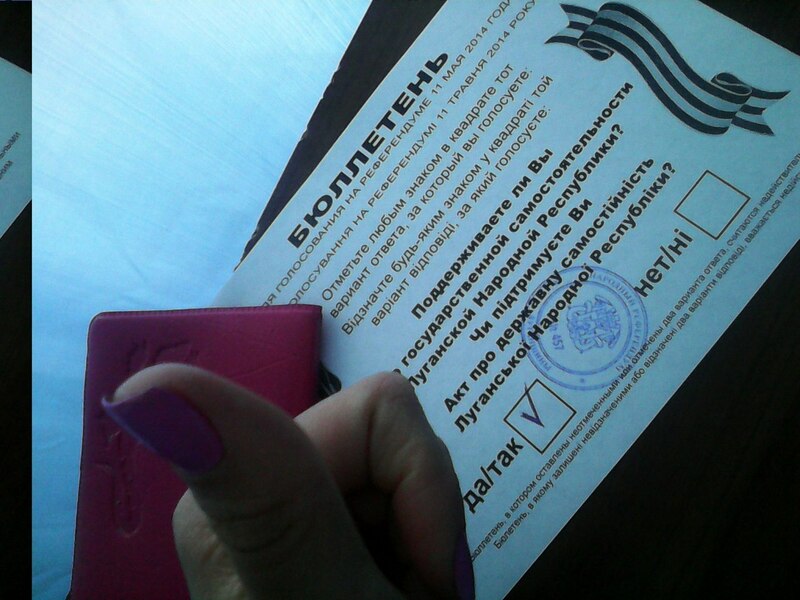 <p>”>Given the fact that the stations opened at 6 am , but not at 8 , then we can say that the referendum decides Mariupol . 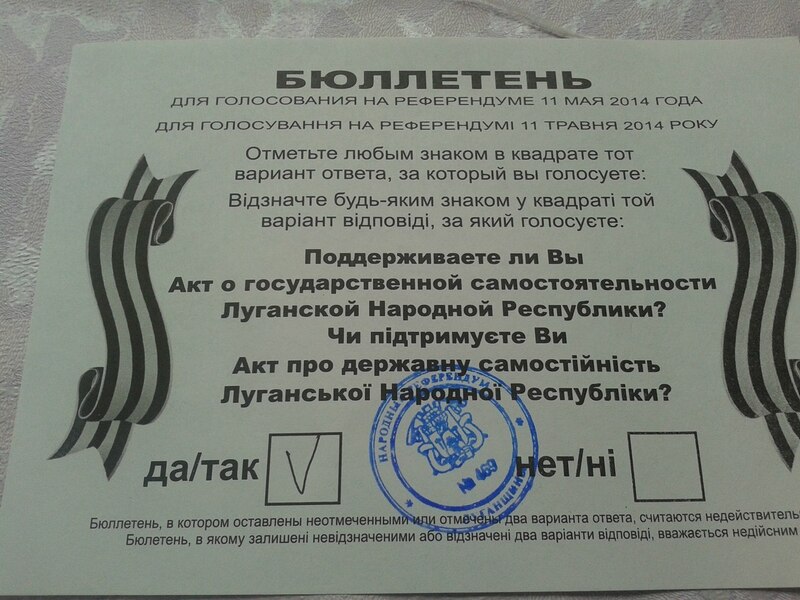 Sevastopol support referendum in DNR and LC. Since democratic referendum, then there are those who are against. 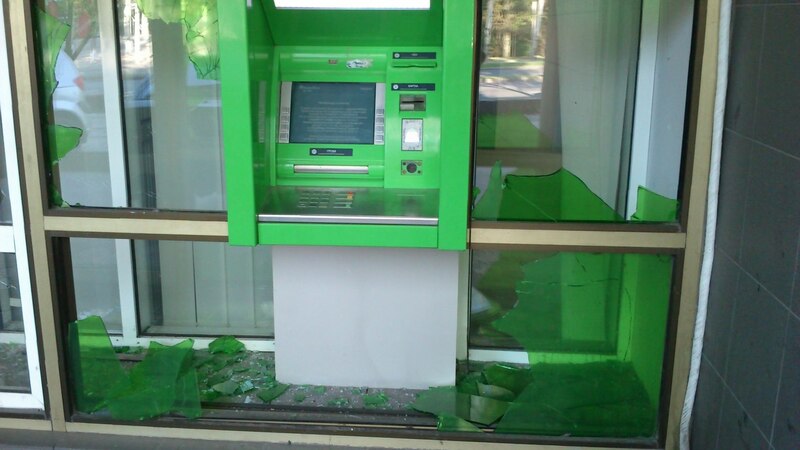 In Krasnoarmeisk Nazis controlled the city council and the police building. BMP ride around the city. Trinity district. Turnout highest in 23 years. I said yes, a brighter future! Without fascism! Militias captured BRDM in Mariupol. 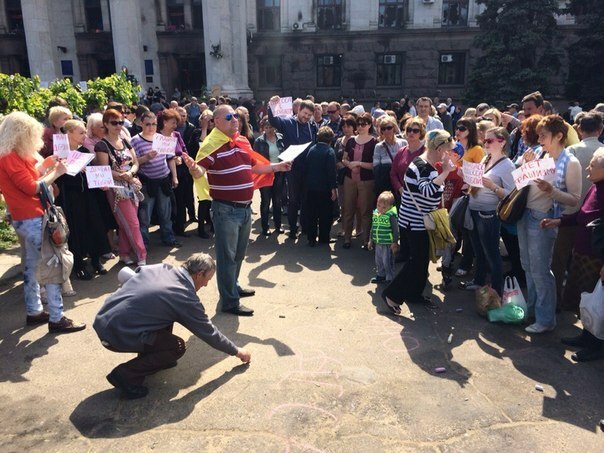 Comment with maydanovskogo Site : In Dobropole Donetsk region on Lenin Square is two referendum. 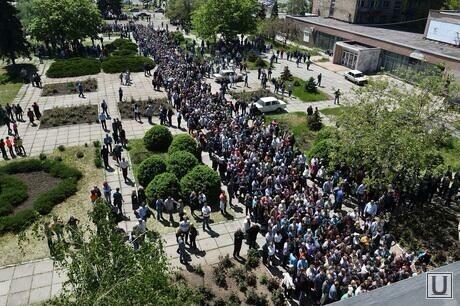 So the referendum for the DNI is a huge place, more than a thousand people. 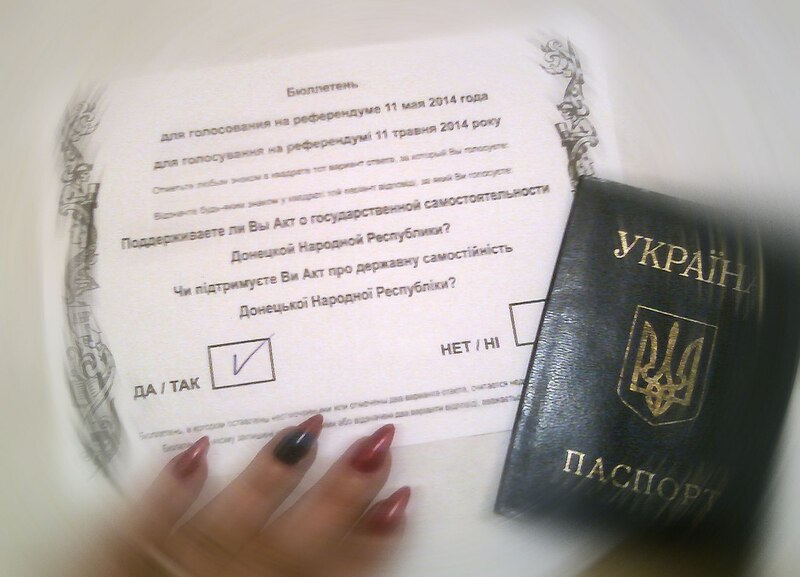 A referendum to join the Dnieper in two hours , I stood in line for as much as 4 people came . Vote swamp. May 9. Ljashko Androschuk and discuss the prepared bloody provocation. 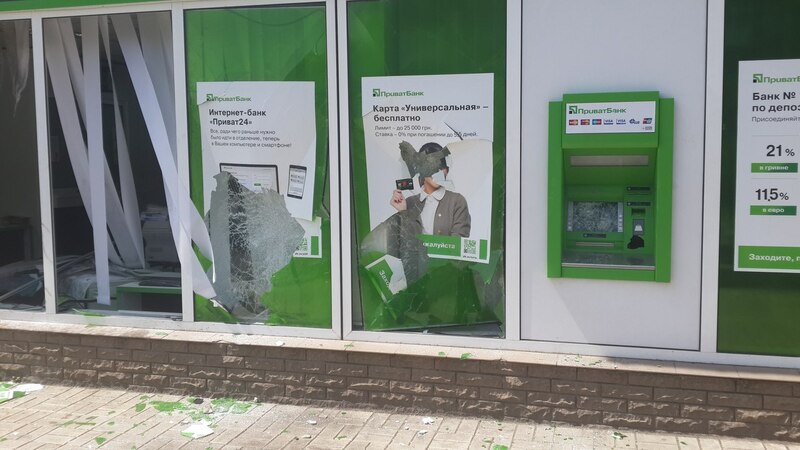 People’s Deputy of Ukraine, the presidential candidate Oleg Lyashko detained activists in Donetsk region “DonetskPeople’s Republic.” About this RBC-Ukraine said one of the leaders of the DNI Andrew Purgin. 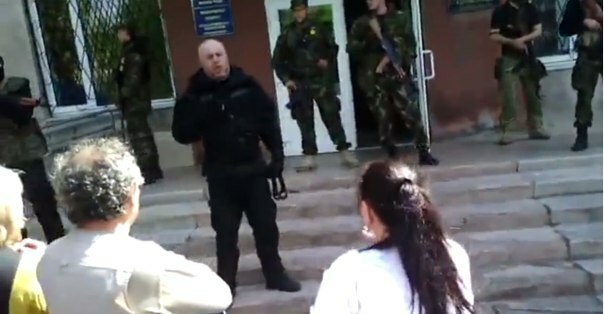 “According to our information, in the Donetsk region detained a suspect in the kidnapping of citizens and mass extermination deputyLjashko” – said Purgin. 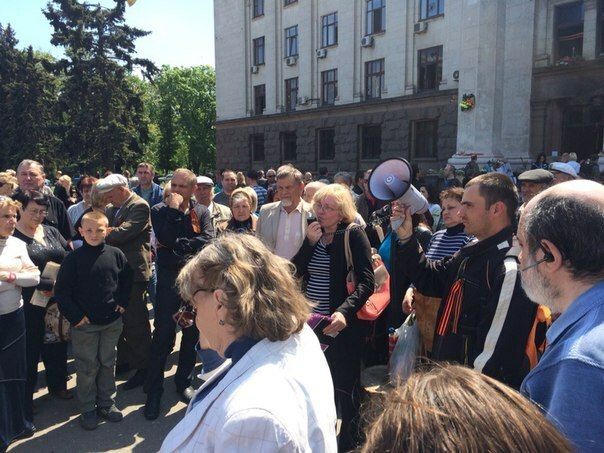 In general, the issue of Ljashko resolved when one of the parties to present a face of his. 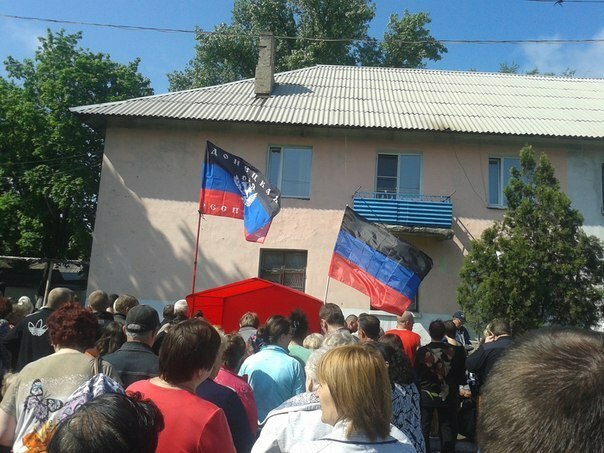 “>This was stated by the leader of ” People’s Front ” Alexei Chmilenko region . “Turnout very high for a number of sections , for example Popasnjansky area – up to 90 %. “>Chmilenko also said that the militia managed to block armor in Novoaydarskom area and prevent its further progress towards Lugansk. 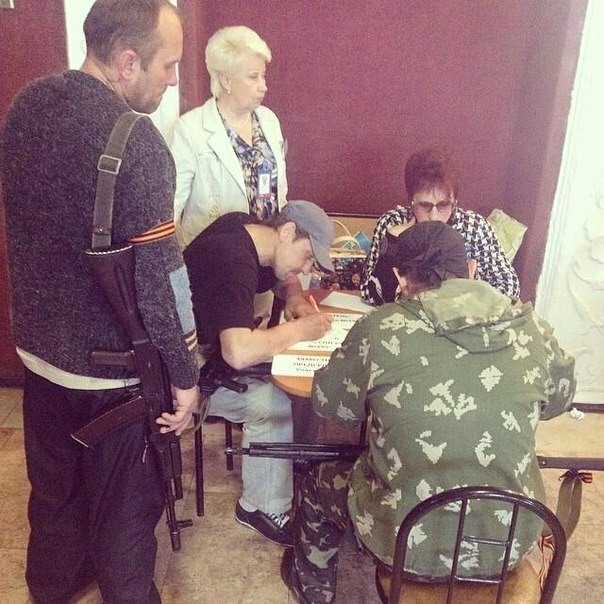 “>Ukrainian presidential candidate , national deputy Oleg Lyashko detained in Mariupol , Donetsk militia proclaimed the People’s Republic , RIA Novosti reported militia headquarters self Sloviansk Donetsk region of Ukraine . 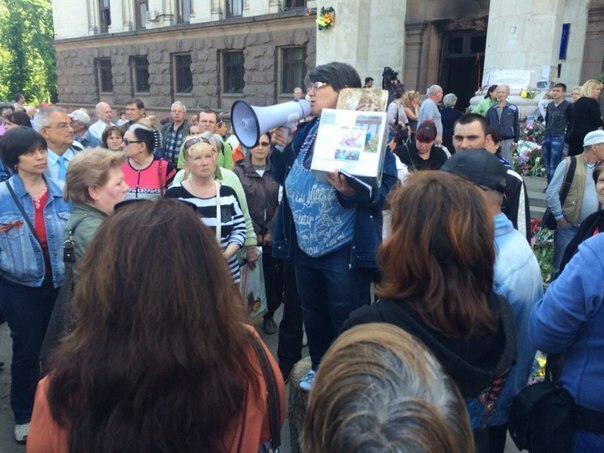 “>” Yes, there is such a detainee ,” – said Ponomarev, answering the question of KAVPOLITA about whether he owns information about the detention of the leader of ” Radical Party ” . 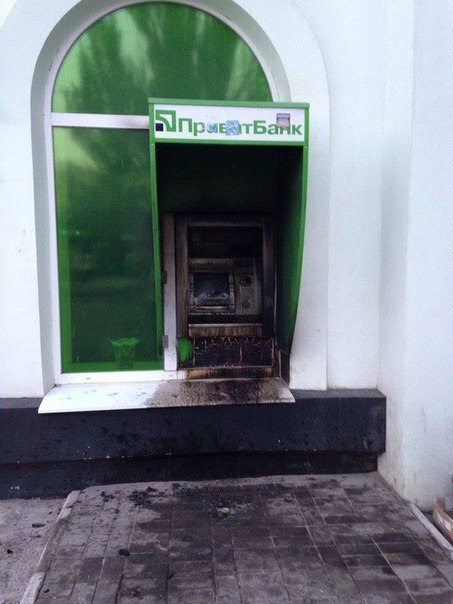 Trying to drive a stake through the junta. 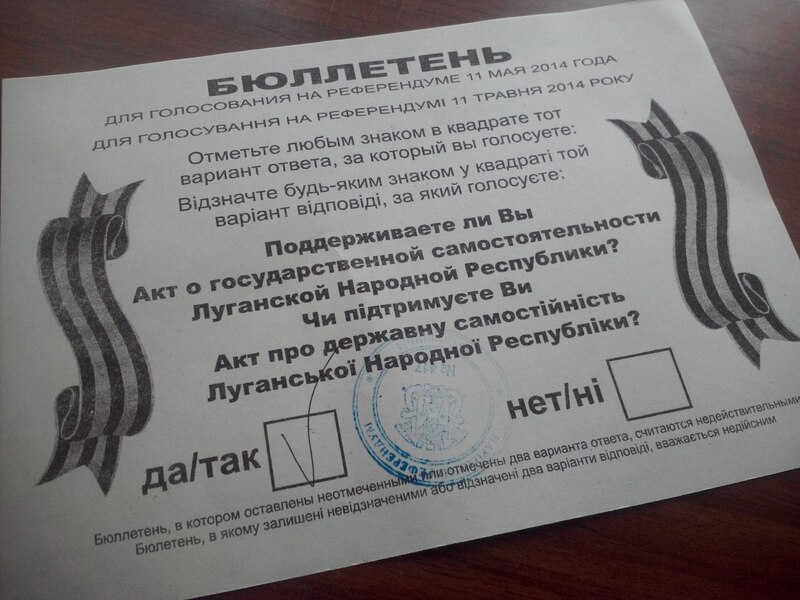 The Nazis are trying to derail the referendum in Krasnoarmeysk. 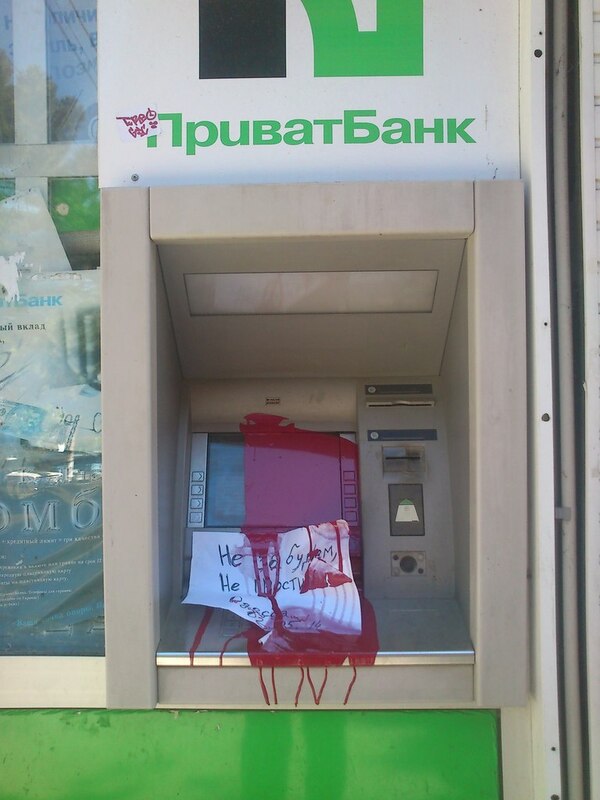 Referendum at gunpoint fascist machine. 17-30 on media junta confirm Androshchuk penalty. 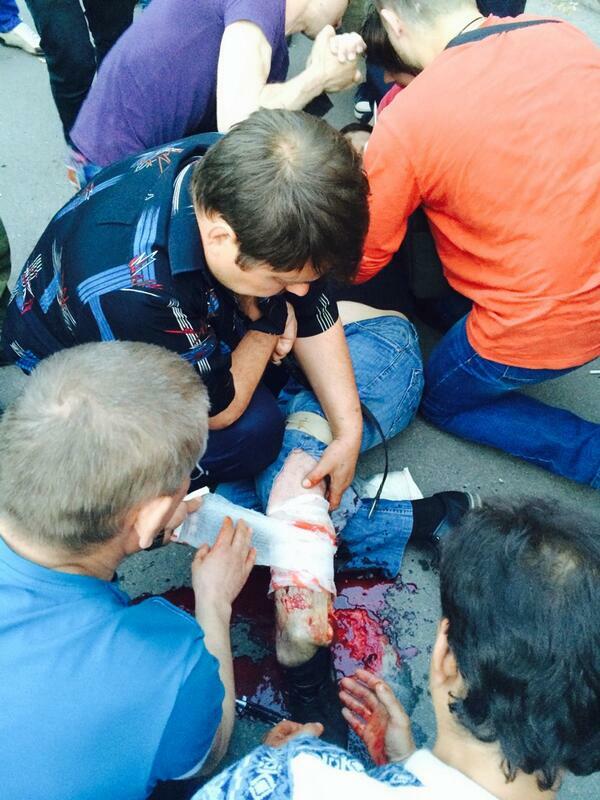 By Ljashko - RT, Life-News and Russia-24 confirmed that thecaptured. The press service Ljashko still can not confirm or deny. Media junta generally silent. 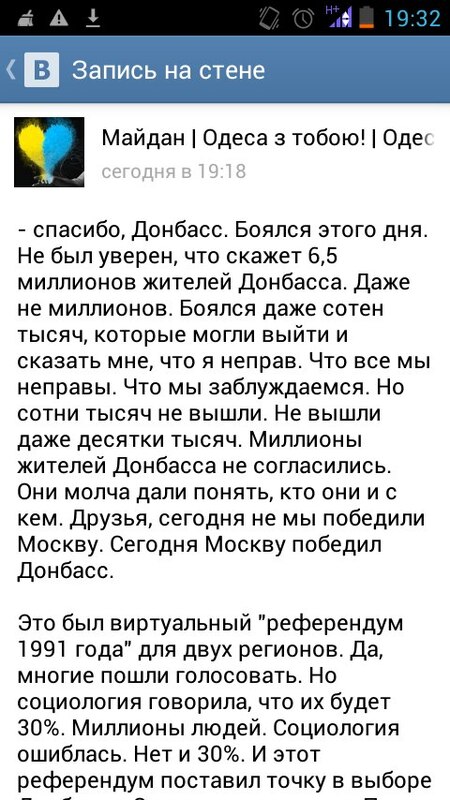 It was only a refutationof accomplice Ljashko Garmash. 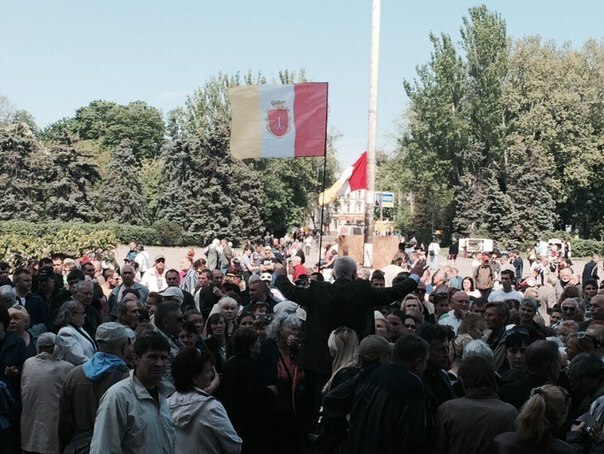 At one of the sites Kranoarmeysk interrupted vote. 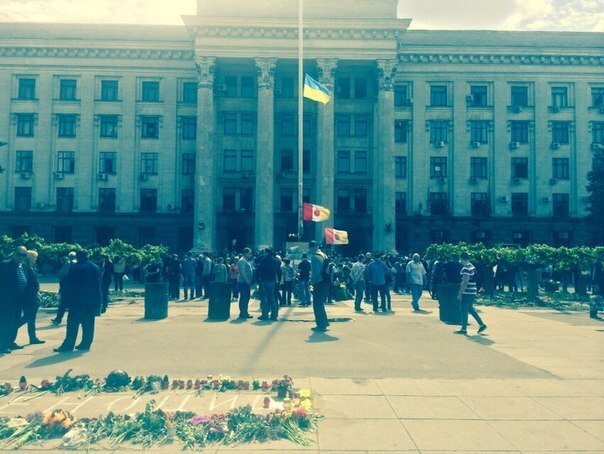 National Guard of Ukraine took control of city council and the city police department. This enforcer replied that ” will be even better .” He promised to leave the building and then tried to escape , but the crowd stopped him and demanded that his men lowered their weapons . “>- All other questions to ask their leaders . About how the Nazis prevented voting . 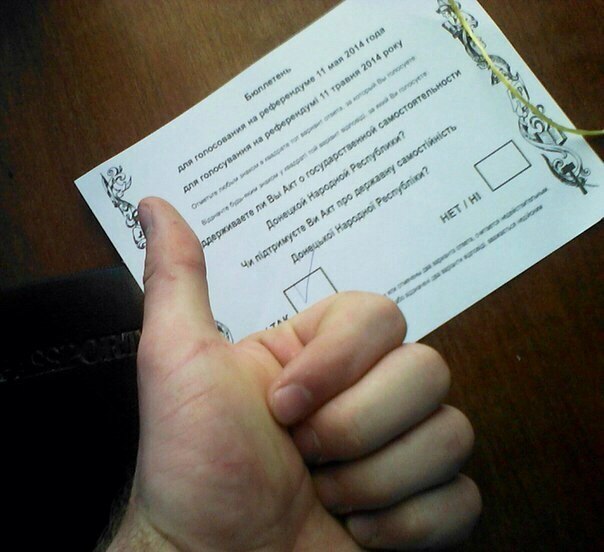 Turnout in the referendum in the Donetsk region of 16:00 was 69.27%. About this RBC-Ukraine Chairman of Central Election Commission of self-proclaimed “People’s Republic of Donetsk” Roman Lyagin. 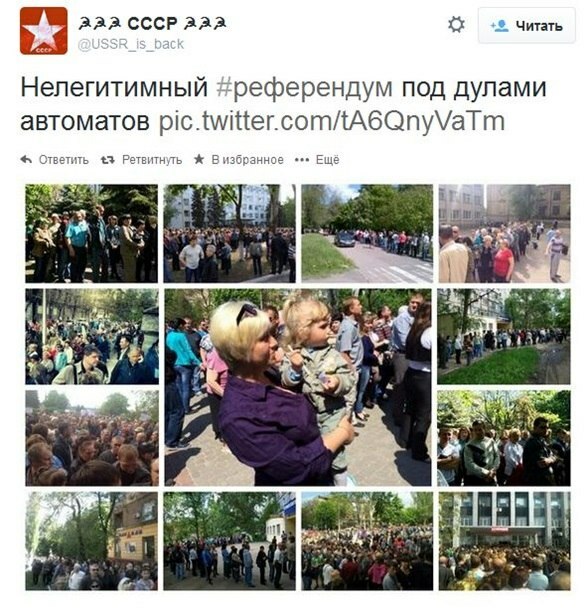 Obviously, Donetsk and Luhansk be the People’s Republic . What will happen next ? And further : the forces of the Ukrainian army , nat – Guard, ” the right sector ” and others – will be officially announced occupiers illegally in the territory of foreign states . 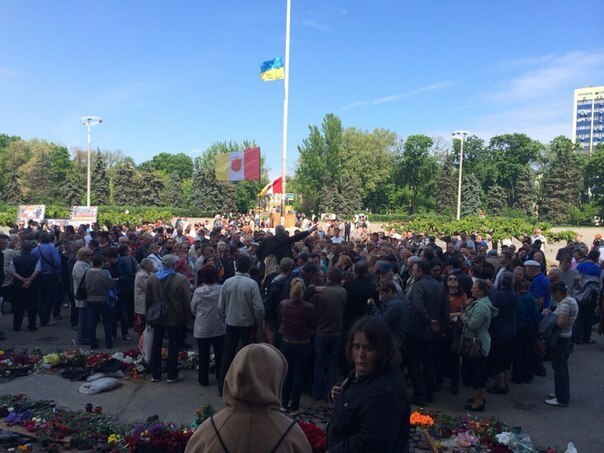 Therefore , if you have brothers , sons , husbands or fathers as part of the Ukrainian army , Nat Guard , etc. 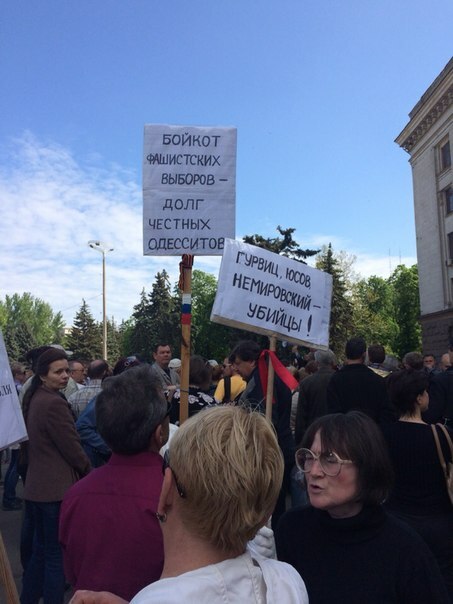 “>- Go to the draft board walk on the square , go to the parliament on the maidan , yes anywhere, and – require that Kiev “power” of your relatives withdrew from South- East. 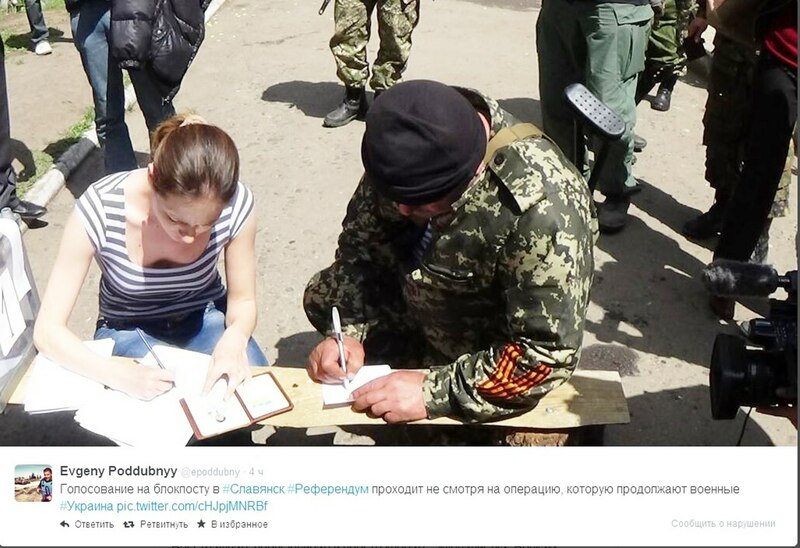 Armoured Ukrainian National Guard left the position in settlements and Happiness Novojdar Luhansk region , RIA Novosti reported member of the Central Election Commission of the referendum on the status of the area Lily Gorbunova . 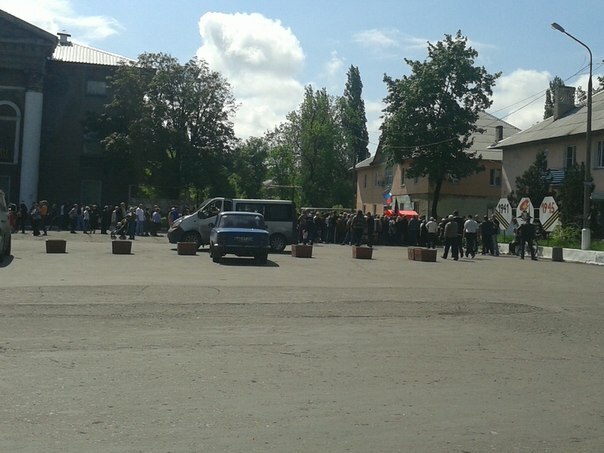 According Gorbunova , local residents told the organizers held in Luhansk region referendum that Ukrainian armored Natsgvardii left in an unknown direction . 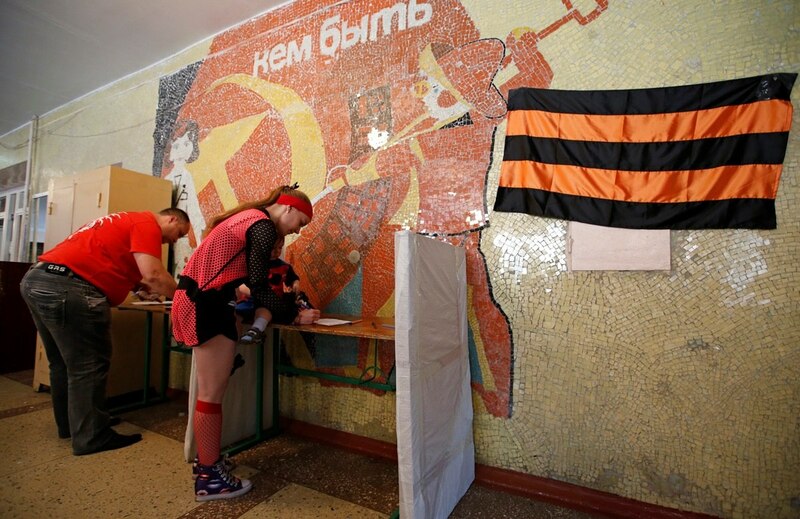 At the same time , according to a member of the CEC , despite the difficult circumstances and attempts to counter the National Guard , the referendum in the Luhansk region continues, and residents of the region to actively participate in it .